At 84, Mother is from a generation that in my mind (at least) produced if not many bigger-than-life heroes and villains, a corps of more-than-interesting individuals who’s self-effacing way of conversation is/was inadvertently comedic. “Mother, there’s some in the back seat.” Leaning over, I reach for it. During the above typical exchange, Mother could have drunk a six-pack of bottled water during the time she told me not to worry about her. 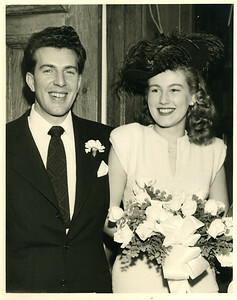 If I am to believe Mother’s story concerning her relationship with my then future father, on a first date with him, he invited her to a Hollywood premier – an event at which in the late 1940’s would have required a black dress with all the trimmings. According to Mother, Dad told her, “we are going to stop by Mel Henke’s on the way to help him out – so wear casual clothes and we will change at Mel’s before going out. Upon arrival at Mel Henke’s, my Dad handed my mother a pitch fork and invited her to start cleaning out the horse stalls. (This was presumably an attempt in my late father’s mind to weed out women who may have been attracted to him solely on account of his budding celebrity). However, he didn’t realize that Mother, being from Ohio was no stranger to work (or horses and jack asses). And quickly, Mel advised him that he better not do anything to scare this girl off; she looked like a keeper. Can We Maybe Give Tom Cruise a Break? It worked again. I think the waitress thought that she was going to have an easy time with these two tourists. But she was premature. “That’s your son’s salad!” offered our waitress. 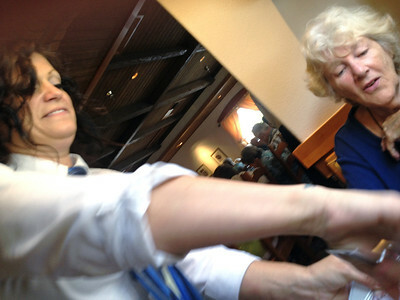 The waitress wrestled the all-you-can-eat bowl from my Mother’s grip (otherwise impossible unless as recently weakened by IV’s during cataract surgery) as I looked-on slack-jawed across the table at what I suspected would happen all along: Mother making a scene! Were We Ever That Young? As I’m listening to Mother’s worrying, I sometimes invite myself to visualize vignettes of the past, where she seemed bigger than life to me — a strong disciplinarian with all of the answers. 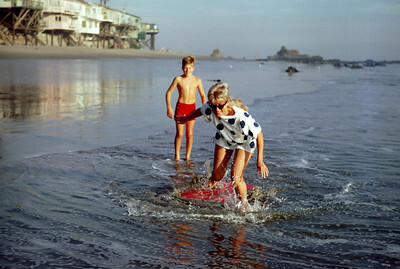 The memories are sometimes accompanied by the imagined drone of the Malibu surf and the smell of honeysuckle. And I find myself in the same place that my grandfather must have found himself in the autumn of his life — pondering the dichotomy of remembering the past as if it had just occurred and wondering, ‘who is that man in the mirror staring at me?’ Where Mother and I ever that young? It has been for me a poignant visit. 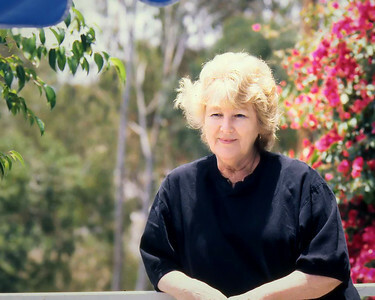 Mother has been remembering conversations from her childhood – names and faces of people long passed. She has been emotional, loving, self-critical and curious about everything. She wanted to meet and talk with people with whom she felt she had unfinished business — what the shaman would call re-capitulation. At the time of this writing, I asked Mother to come to the computer to see and to hear what I had written on the off-chance that I had crossed the line. She seemed more concerned about Tom Cruise. As her tears began to well, I reached for the bookshelf and lifted up a small, blue, hard-bound book by Emett Fox. Mother took the book and shielded it from her falling tears.